As frequent travellers ourselves, we at Bakchormeeboy.com are constantly looking for means of having portable, affordable overseas WiFi, whether it’s for documenting our travels via Instagram or for hunkering down with a laptop and writing out some quality stories. While we’ve primarily relied on SIM cards from other countries or at times, the WiFi we can glean from hotels and public areas or cafes, Changi Airport may have just the right solution for us – the all new ChangiWiFi Pay-Per-GB plan. Aimed at consumers who do not require unlimited data, this new plan allows travellers to USA and Europe to rent a Wi-Fi router for just $32 per trip to satisfy all their overseas data needs. A basic Pay-Per-GB plan costs $32 and entitles consumers to 2GB of WiFi data, with the option of topping up anytime during the trip at $20 per additional GB. Currently, over 50 travel destinations are available, with up to 5 devices at a time that can connect to the router! Meanwhile, the traditional Standard Plan boasts unlimited data with rates starting from $5 per day, and even less with promo codes, ideal for travellers with heavy data consumption or who don’t want to worry about monitoring their data usage. 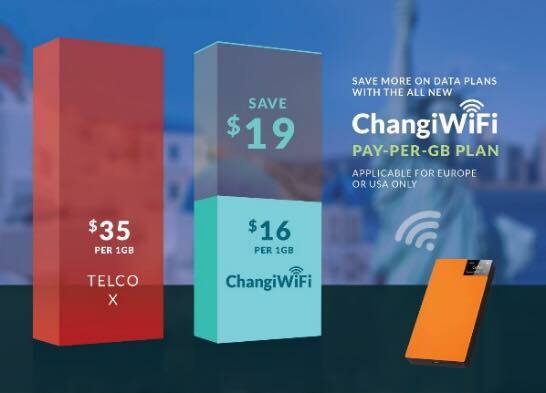 By only paying for what they use, the new ChangiWiFi Pay-Per-GB plan offers an alternative for consumers whose data consumption is relatively lower and do not require unlimited data when they travel. The Pay-Per-GB plan also caters to those who are intending to travel for a longer duration, as this system charges by the data usage and not by the day, where a long holiday can easily rack up the final bill. It’s time to make your data plans for the holidays cost-easy with ChangiWiFi’s all new pay-per-GB plan, and have a happy holiday free of worry. 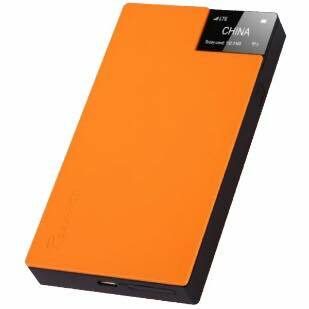 For reservation of ChangiWiFi, visit www.changirecommends.com. Consumers can collect their routers at any of the seven Changi Recommends booth available at every terminal within Changi Airport before departing, along with any amenity reservations, attraction and tour tickets that require physical pick up at Changi Recommends’s booths.